Pot-Smoking Parents Putting Babies at Risk? It’s hard to imagine babies and toddlers toking weed or intentionally consuming marijuana edibles, but increasingly they may be accidentally exposed by those around them who do, especially in states where marijuana has been legalized. The rates of increase are staggering: a 500% increase from unintentional marijuana exposures at the Rocky Mountain Regional Poison Control Center reported between 2009 and 2015 for children with a median age of two and a 609% jump in poison control reports across the country for children under 6 from 2006 to 2013 in the states that legalized medical marijuana early. Although the cause and effect evidence about the impact of unintentional marijuana exposure on young children is not yet in, it has been associated with everything from death, as in one Colorado case, to conditions as serious as seizures and comas, and more commonly to difficulties breathing. “As more states pass laws legalizing recreational marijuana, legislators and health care professionals will need to consider strategies to decrease its effect on young children,” the lead author, George Sam Wang, MD, Assistant Professor of Pediatrics at the University of Colorado Anschutz Medical Campus, and his co-authors wrote in the recent Colorado study, which covered the poison control center and a children’s hospital. Their research showed that in the two years after Colorado legalized recreational marijuana (2014 and 2015) compared with the two years prior (2012 and 2013) that the Children’s Hospital Colorado in Aurora experienced almost double the rate of visits related to children's unintentional exposure to marijuana. The median age of those patients was 2.4 years. The study added that in almost half of these cases the exposure was from recreational marijuana products, of which in 48% came from edibles. These included cookies, brownies, cake, candies, popcorn products. For the children brought into the hospital system in the 2014-15 period, 65% were observed in the ER or Urgent Care Center, but 21% were admitted to an inpatient unit and another 15% to intensive care. While most of these children experienced mild symptoms such as drowsiness or lethargy, others had dizziness, agitation, rapid heart rate, and respiratory depression. A very small number had seizures. One 11-month-old child was unresponsive when he came into the hospital and couldn’t be revived. The urine drug screen and autopsy confirmed exposure to the marijuana metaolite, THC, but the final diagnosis was myocarditis. The causality “in relationship to the child’s positive THC is unclear,” the study said. The study attributed the increase in childhood exposure to marijuana products predominately to their greater public availability. Inappropriate storage, and lack of parental supervision also are factors, the study reported. For children seen at the hospital, parents weren’t the only ones who allegedly were the source of the marijuana that children were exposed to. Grandparents, neighbors, friends, babysitters and other family members reportedly also were too. Families of children seen at the hospital disclosed their childrens’ history of marijuana exposure almost three times more often after recreational marijuana was legalized, the study added. Although the JAMA Colorado study's pediatric marijuana cases increased at a higher rate than the rest of the United States, kids’ exposure is a national problem. Using statistics from the National Poison Data System, a study published last year in Clinical Pediatrics found that the rate of pediatric marijuana exposure increased by 147.5% across the country between 2006 and 2013 for kids under 6, but was almost four times (609%) higher in five states that had legalized medical marijuana before the year 2000. However, nationally between 2000 and 2006 there was “no significant increase” in the annual rate of childhood marijuana exposure, according to calls to poison control centers, this study said. The lead author, Gary A. Smith from The Research Institute at Nationwide Children’s Hospital in Columbus, Ohio and his colleagues did not specify why there was a higher rate in the states which were early adopters of legal medical marijuana. They did make a correlation, however, between the rising rate of marijuana users from 2006 to 2013 and the increase in childhood exposures. While these studies emphasize the problem of edibles, exposure to marijuana smoke remains an issue. In the Columbus study 14.5% of the kids under 6 in the 2000 to 2013 period were exposed by inhalation. Another recent Colorado study raises concern about the impact of second-hand marijuana smoke. Marijuana metabolites were detected in the urine of the second study’s sample population of one-month to two-year-olds hospitalized for bronchiolitis, according to the unpublished study. Seventy-five percent of parents of this group of young children who admitted to Children’s Hospital Colorado acknowledged a household source of marijuana exposure. In this study the children were between one month and two years old. 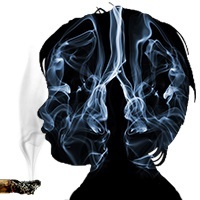 “Our study demonstrates that, as with second-hand tobacco smoke, children can be exposed to the chemicals in marijuana when it is smoked by someone nearby,” said Karen M. Wilson, MD, who presented these results this summer at the Pediatric Academic Societies annual meeting in Baltimore, MD. “Especially as marijuana becomes more available and acceptable, we need to learn more about how this may affect children’s health and development.” Meanwhile, “marijuana should never be smoked in the presence of children,” added Wilson, who was an associate professor of pediatrics at the University Colorado School of Medicine at the time the study was done and now is Chief of General Pediatrics and Vice-Chair for Clinical and Translational Research at Mt. Sinai Medical Center in New York City.